Academics = Success. It’s just not that simple! When we focus on the most rigorous school, the right activities, and the college we want our “little Einstein” to attend we miss a huge opportunity for our children on so many different levels. Researchers have found that one of the key factors to success in a young child’s educational setting is the amount of time they are allotted to play. So when thinking about the type of preschool setting you want for your child you really have two very different options: Play-based and skill-based schools. It is actually through play that kids learn to regulate conflict, solve problems, become resilient, delay gratification, and take turns! These are the skills our children need most be successful in life. Evidence has shown that play-based schools support our children’s growth 1) socially, 2) emotionally and 3) academically. 1) On a social level, play-based preschools focus on helping children learn the skills they need to be a good friend and work as a member of a group through collaboration, learning to follow rules, use empathy, take turns and self-regulate. 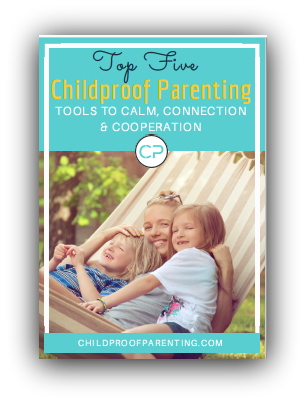 These skills help children to learn the rules of social interaction that will, in turn, help them in all of their relationships throughout life. Children in play based settings get lots of opportunities to practice experiencing their friends' points of view by working through conflicts about space, materials, and rules with support. 2) Academically, play promotes language, literacy, and mathematical thinking.Research has shown that kids who frequently engage in play, particularly socio-dramatic play, show an increase in the total number of words used, the length of their sentences and the complexity of their speech. It has been found that play also helps children to understand the relationships between things, which helps them develop the type of reasoning that aids in mathematical performance. Beyond basic academics, play also helps build the skills of attention and concentration, which are critical to success in both the academic and professional world. Within a play-based preschool setting, children have more opportunities to develop impulse-control, which is highly linked to future school success. Numerous studies have shown that there is a clear relationship between make-believe play and both self-control and gratification. 3) Play also provides an outlet for the expression of emotion for young children. Strong emotions, especially frustration, fear, and anxiety, can be overwhelming for children to process. Play provides children an outlet to voice those overwhelming feelings. In play based preschool settings teachers provide children with the space to explore how they are feeling, what caused those feelings and how to best express their feelings in a positive, safe, healthy way. A child’s ability to properly express emotions is an important communication tool, as it provides peers with the information about our child’s intentions. The skill of emotional expression is an important part of peer acceptance and the ability to regulate emotions is essential to their capability to interact with others. So when you are thinking about the “right” school for your child this year please don’t get caught up in all the hype about your child needing to be able to read and write before kindergarten. That is just baloney! There are lots of choices when selecting a preschool for your child and the presence of play is not to be written off, but highly valued. When children use their imagination in play, it fosters creativity and creative thinking skills, they end up performing better at school tasks and also developing a problem- solving approach to learning. Maybe consider what some of the greatest minds have said about play, chew on it for a while and then decide what your position is on selecting a school this next year. So hopefully you can now see and understand the value and appropriateness of a play based school. If you want some ideas on how to create more opportunities for play in your child's life check out this great article that provides more insight and ideas!